If you could summarize the religion of Islam in one word, what would it be? The Messenger of Allah, blessings and peace be upon him, summed it all up in one word, al-nasiha, sincere concern. This enriching course explores the deep meanings contained within this beautiful prophetic statement and how we should manifest sincere concern for Allah, His Messenger, His book, the rulers and the generality of Muslims. 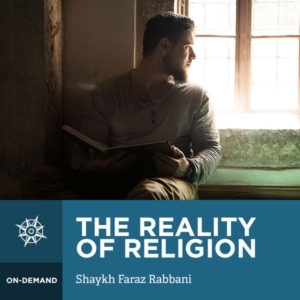 Based on the work of Imam Ahmad Zarruq, The Sufficient Counsel for the one with God-given wellbeing, Shaykh Faraz Rabbani expertly unpacks the pearls of wisdom and teachings of one of the most beneficial of prophetic statements. We learn how to express our slavehood to Allah, how to respond to trials, obey Him, and support His religion. This course explains in detail what it means to follow the Sunna, and how to express sincere concern For the Messenger, Allah bless him and give him peace, by means of loving and honouring his family, companions, and followers. We also learn how to connect with the book of Allah through reflection and recitation. Here, you will also find answers to questions of obeying rulers, how to express concern for believers, how to adhere to faith and sincere concern in troubled times, and the purpose and benefits of the narrations relating to the signs of the end of times.